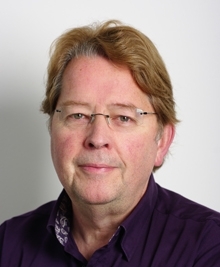 Dr. Jack Spaapen is vice chair of the COST action ENRESSH and emeritus senior policy advisor at the Royal Netherlands Academy of Arts and Sciences. His main expertise is in methods for societal impact evaluation and public engagement, and in research and innovation policy. He has coordinated many Academy projects, and national and international projects, among others for the European Union the FP7 SIAMPI project on productive interactions between science and society and the assessment of societal impact of research (2009-2012), and on Responsible Research and Innovation, RRI (2014). For the OECD he conducted a project on the role of scientific advice in controversial issues in society. He co-designed the national evaluation protocol for publicly funded research (Standard Evaluation Protocol – SEP). He is currently working on the development of an assessment framework for the humanities research in the Netherlands. [QRIH] He was trained as a sociologist and cultural anthropologist at the University of Amsterdam with a Ph.D. in science and technology studies.